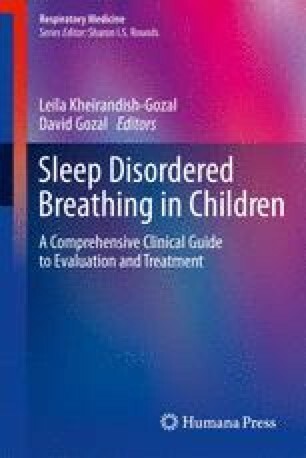 This chapter focuses on the role of imaging modalities in the evaluation of childhood obstructive sleep apnea syndrome (OSAS) and how these may advance the understanding of the anatomical and functional aspects of the disorder. This chapter emphasizes studies using magnetic resonance imaging (MRI) since this technique is noninvasive and provides the most quantitative and reliable data without ionizing radiation. Finally, this chapter describes newer imaging techniques that may further enhance our understanding about the mechanisms leading to childhood OSAS. Dr. Arens is supported by grant number HD-053963 from the National Institutes of Health.